Reginald Alfred Bush Jr. (born March 2, 1985) is a former American football running back. He played college football at USC, where he earned consensus All-American honors twice and won the Heisman Trophy (later forfeited) as the most outstanding player in the nation. 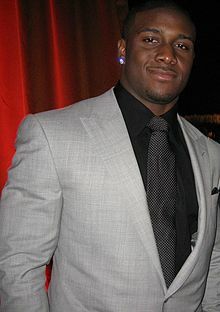 He was drafted by the New Orleans Saints second overall in the 2006 NFL Draft.